Are you feeling concerned because of slow typing speed and is searching for an excellent topic on how to type fast and accurate? If yes, then read this entire piece of information. Typing skills are required in every field these days. A good typing speed will save your time as you can easily wrap up the documents. Most people join typing institutes for increasing their typing speed. However, you can improve your typing speed from home only by following the tips mentioned below. Before typing, you must sit in a proper posture to avoid back problems. Sitting in a proper posture will help you to concentrate and focus on typing which will allow you to type for long hours. Apart from your back being straight it’s also important your wrists and elbows are also in the correct position. Keep your arms straight and make sure your elbows are always positioned at the right angles to the keyboard. Place your ‘little finger’ of left hand on ‘A’ key. You should operate all the keys which are left of the ‘A’ key by the left hand little finger. Place your ‘little finger’ of right hand on Colon/Semi-colon button. You should operate all the keys which are left of the Colon/Semi-colon button by the right hand little finger. Place your ring finger, middle finger and index finger of left hand on S, D and F keys respectively. Place your ring finger, middle finger and index finger of right hand on L, K and J keys respectively. You must keep one thumb on the space bar. You will find several typing tools over the internet which will help you to improve your typing skills. Apart from typing speed, these tools will also improve your accuracy. One of the best and free typing tools is called as Keyblaze Free Typing Tutor and the best part about this online tool is that it is quite user friendly and fast. Download these tools on your PC and start using. First of all, set your level i.e. beginner, intermediate or advanced. These tools will give typing classes according to your level. After every class, you can also practice on these tools to see results. The more you will practice the more you will be able to improve your accuracy and typing speed. You must practice typing for at least 30 minutes every day, if you want to improve your typing skills in a short period. 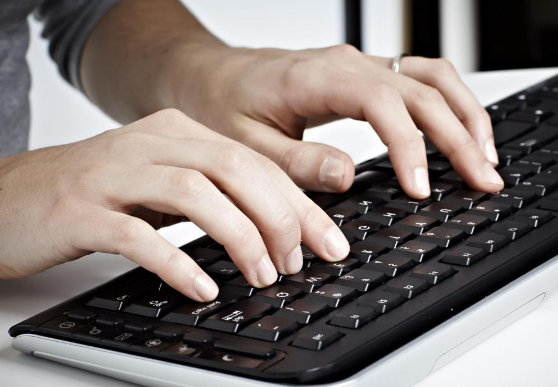 You will find several typing tests online, which will help you in enhancing your typing skills. So, keep on practicing for few days and take an online typing test in order to check your progress. If your results are getting improved, then follow the same routine otherwise go back to basics i.e. take typing lessons from the typing tools. Do not feel disheartened if you make some errors. In fact consider errors as an opportunity to improve. Re-start your typing tests with renewed confidence and utmost concentration. Within few days your typing speed will improve and you will also experience fewer errors. These are some of the useful tips that will help you to type fast and accurate. The average typing speed is approximately 38-40 words per minute. If you follow these tips then you can definitely type 60-70 words per minute. Another best part about improved typing speed is that you are able to run a SEO campaign like pro. There are many SEO campaign basics that you need to follow such as blog commenting, social media optimization and much more. If you have a good typing speed then you can type blog comments in a fast and smooth way. Though there are many social media marketing tools that are available but for typing you have to do it manually. Finding the right answer to this question that is how to type fast and accurate is very necessary because most of the work is done on computers. Hence, a good typing speed can help you finish your computer related tasks early and will also bring in more confidence. How to Make Tweets Viral and Shareable in an Easy Way?